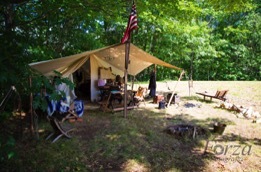 The Northeastern Primitive Rendezvous set up in 2018 for the Orrington's 230th birthday celebration! 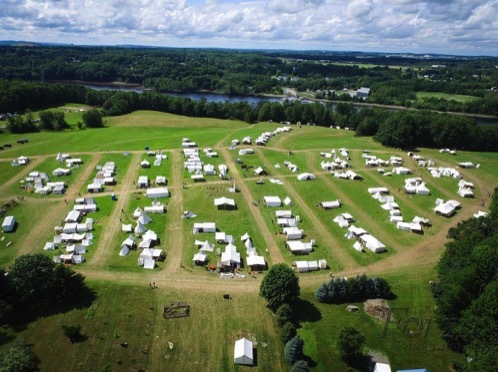 This extraordinary encampment, the largest in the Northeast, returned to the fields of the historic Wiswell Farm during Orrington's 2018 Old Home Week. 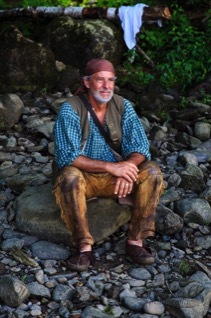 Guests were immersed in pre-1840 history as they stroll through the paths and trails of the village. There were programs featuring artisans, historians, musicians, tribal life and guest speakers. Settlers sold their authentic foods and old-fashioned merchandise outside their tents. The historic Wiswell Farm, located on Route 15 in Orrington, is just 3 miles from the I-395 bridge.